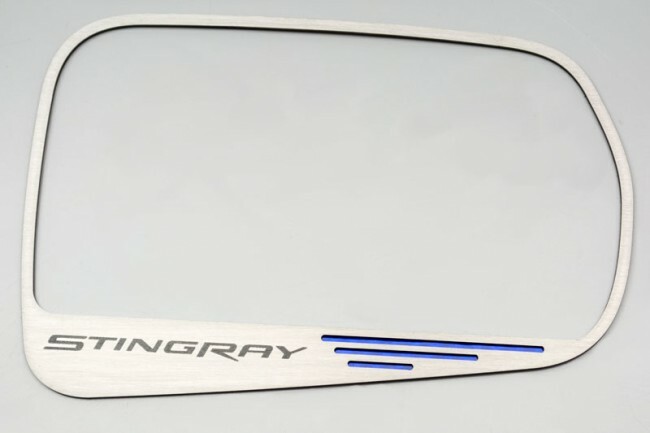 Dress up your 2014 Stingray Corvette with our brushed Stainless Steel, Side View Mirror trim with "Stingray" lettering. These trim pieces are designed to fit within the outer frame of the side view mirror and add a clean stylish look to your Corvette exterior. 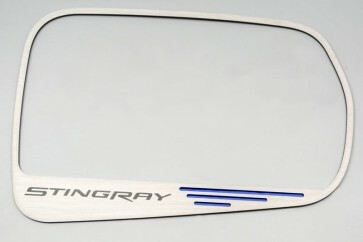 Fits 2014 Corvette Stingrays with auto-dim mirrors.